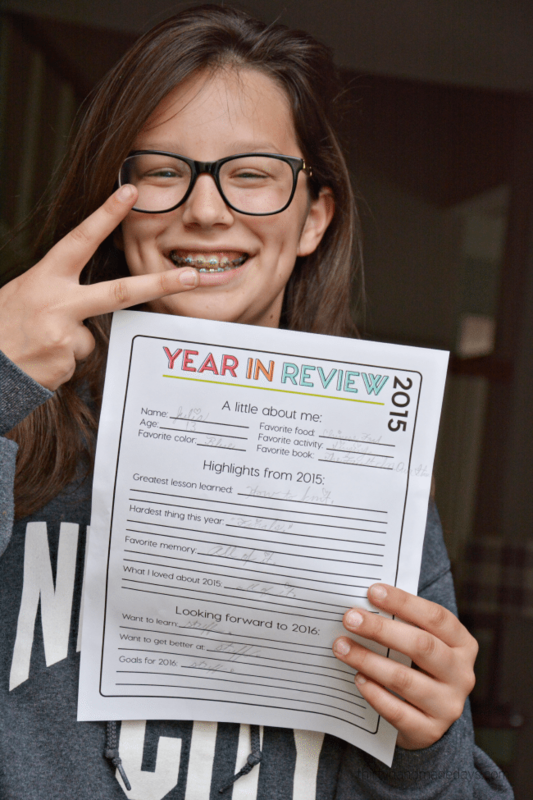 I’ve already been getting emails and comments for the New Year’s Resolution printables so it’s time! I can’t believe that we’ll be in January in a couple weeks. This year seemed to fly by. I know I say that every year, but as my kids get older, time is moving in warp speed. It’s crazy! It started four years ago. 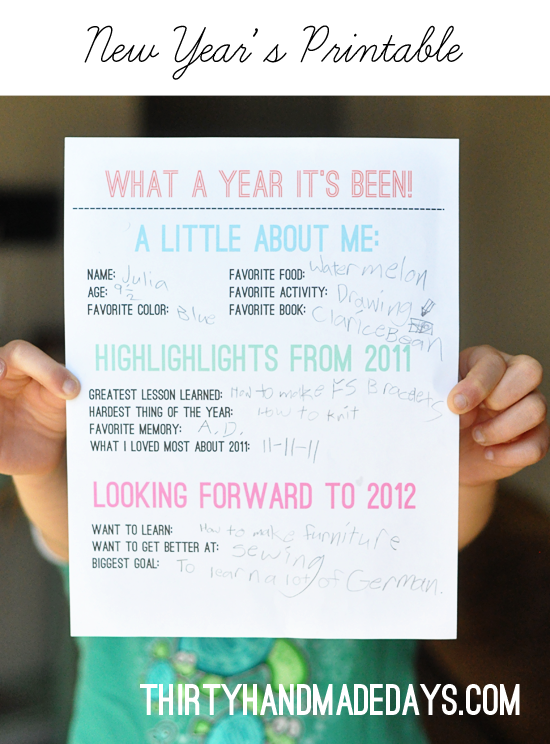 I wanted to have my kids write down some things that they learned throughout the year and set goals for the incoming year. I didn’t realize that it’d turn into a tradition. But it’s so much fun looking back over the past years. I had Julia take pictures for the post that first year and somehow it’s kind of become her thing. Each year she gets less and less thrilled to pose for pictures. Ha! And looking back, she has grown up sooo much. The funnest part is looking over everything that the kids write. 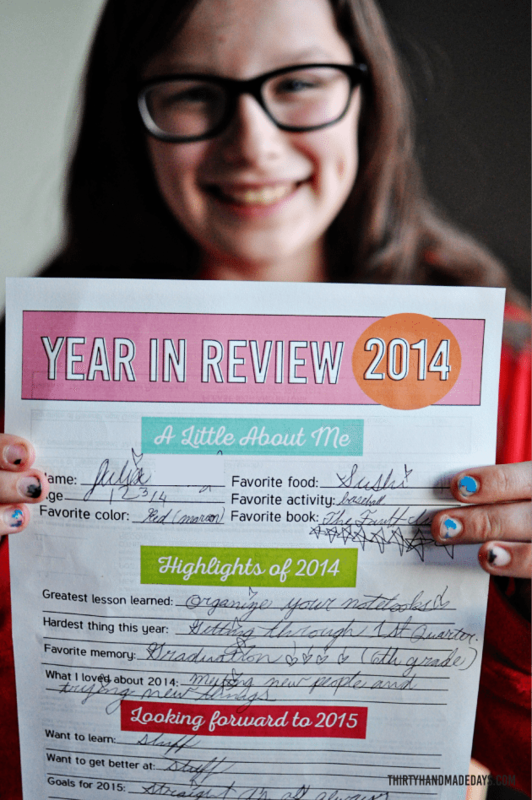 This year she put her whole heart into it — “Favorite memory? 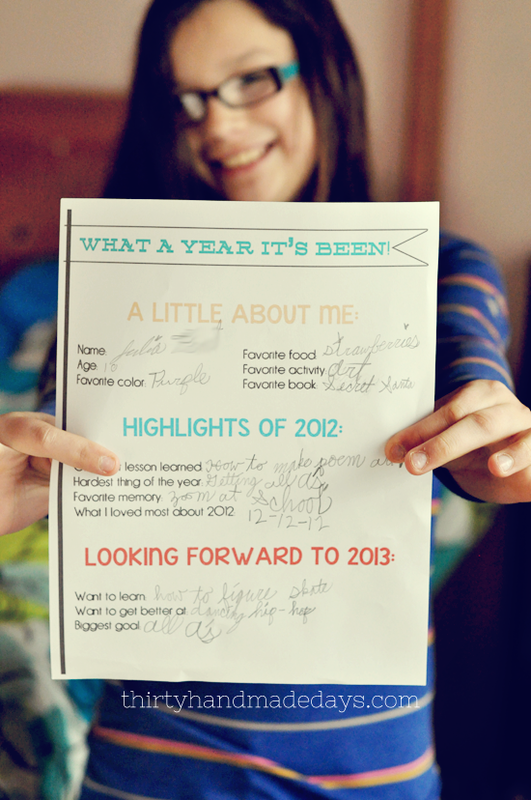 All of it.” “Want to learn in 2016- stuff.” I guess that’s what I can expect from an almost 14 year old. In years past she put things like wanting to learn how to make furniture and to speak a lot of German. So… ? I just laugh at what they come up with. 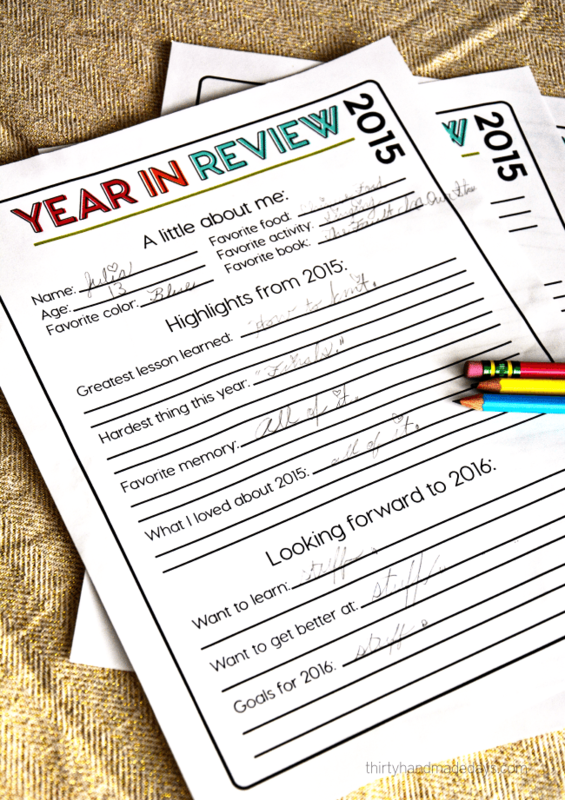 Please note: the Year in Review will automatically be sent to your email after subscribing. If you don’t see it right away, look in your spam/promotional/trash folders as sometimes it gets filtered. It is an automatic PDF sent straight from me. Thank you! I have also subscribed and haven’t been able to find the download for the Year in Review. I’ve searched my email a few times and I can’t see it anywhere? Please help? My kids would love this. Thank you!!! Hi! I just subscribed to your newsletter and received the recipe book. How do I print this New Year’s page or others? Thank you! I would love a copy. Fantastic! I had trouble too using yahoo email and IE – switched to chrome and gmail and got it instantly – just fyi — thank you! Hi Heather – I emailed you the Year in Review. Thanks! After opening the email a few times and clicking on the link several times I finally got it to open. Thanks! 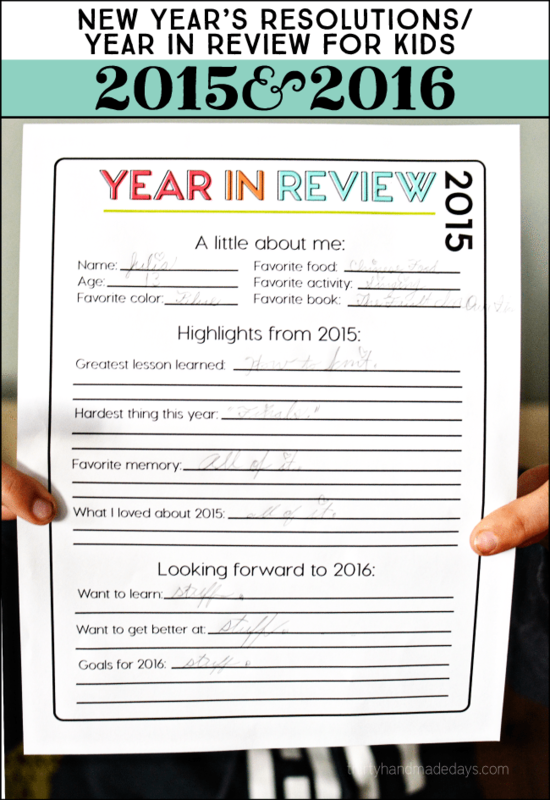 I would love to get the 2016 Kids Year in Review, and various other printables, as well. These are all great. Hi Jess- the link is on the email sent to you. It’s a green button that says “Click here to get your year in review.” When you click on that button it’s an automatic downloaded PDF. Let me know if you still have issues. Thanks! Hi Jen – I’m wondering if maybe it’s an issue with the browser that you are using. Can you let me know what type of browser you have? (Firefox, Chrome, Safari) Because most of the people can download it but then there is a small group having issues.. maybe you all have the same browser? I got it to work on the 4th try — it seemed like a random system error. I am using Safari on Mac OSX. Sometimes Safari does not play well with others. I’m wondering if maybe it’s an issue with the browser that you are using. Can you let me know what type of browser you have? (Firefox, Chrome, Safari) Because most of the people can download it but then there is a small group having issues.. maybe you all have the same browser? I must have accidentally deleted the original email from earlier in december with the link to download this, as I am a subscriber. is there anyway to get that resent? Hi! I was also inquiring about the 2016 printable. I subscribed yesterday and haven’t seen the email. Wanted to double check it went through. Thanks for checking back Beth. You should have received an email from me with the info. HI Mique, I signed up this morning, love your printables, I would like to get the Year in Review/New Year’s Goal printable to use. I received the recipe e-book. Can I still ge tthe other printable? Hi Carol – thank you! I just replied to your comment via email with the info. Hi, I signed up, but haven’t seen this email either or it went to my spam. Is there anyway to get it sent again before NYE? Thank you so much, we’ve used these the last few years and I love them. Hi Sara- you should have received an email with the info. Thanks! I subscribed to get the New Years worksheets for kids and it hasn’t come through yet. Does it get sent automatically? Hi Frankie! I checked and you are already a subscriber. 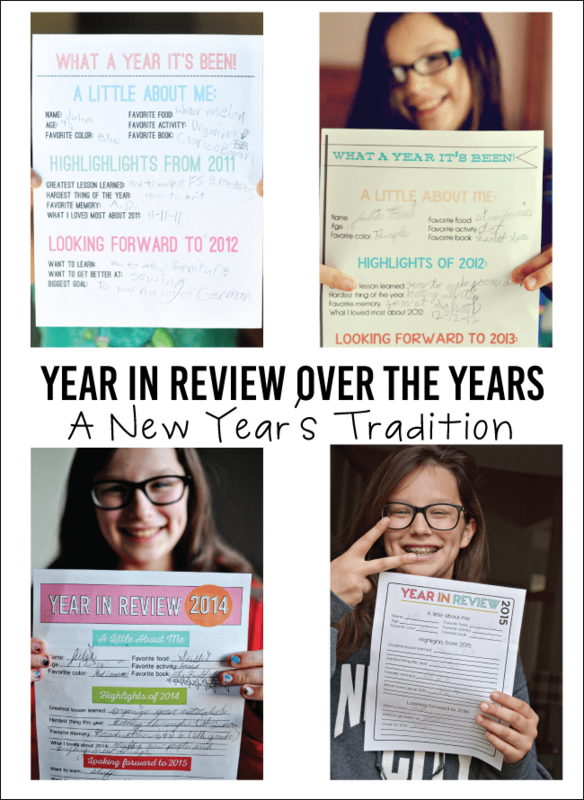 An email was delivered to you on Dec 11th titled — “I promised by the end of the week: Year in Review Printable.” ;) The link to the printable is in there. Third year using your printables for Looking Forward To. I even get my parents who are in their 70’s to do it also. That is amazing. Have fun Alison!